Is this the parent club's vision of the Doberman Pinscher of the future? IT APPEARS TO HAVE BEEN DONE WITHOUT A VOTE OF THE MEMBERSHIP AND THIS IS ILLEGAL. THERE WILL BE ACTION !!! 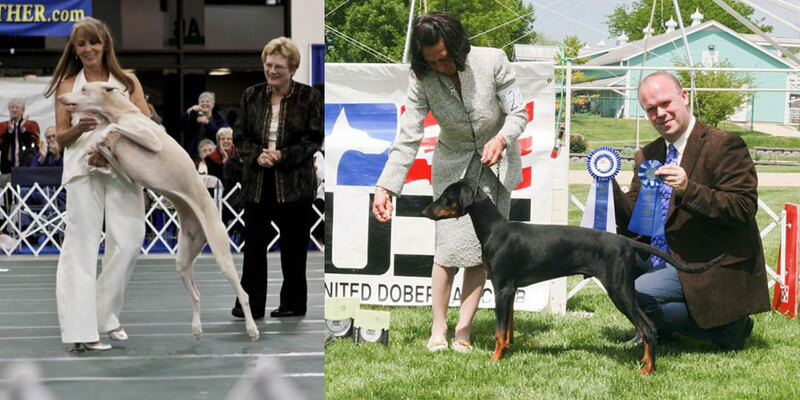 It is easy for a Doberman fancier to ignore the inner workings of the Doberman Pinscher Club of America. Dogs, dog shows, our jobs, our families, all contribute to pushing the DPCA far down on our list of priorities. Lately, increased pressure from animal rights activists has increased the need for a strong DPCA & American Kennel Club as well. Currently many of us perceive a weakening effect in both the DPCA & the AKC. We brought our concerns to this website for your perusal. We hope you will join us in our efforts to insist that the DPCA take the strongest possible course in repelling attempts to erode the excellence and status of the breed.